Majority of digital camcorders like Panasonic, Canon and Sony use AVCHD format. And the file extension of AVCHD format is MTS/M2TS. As we know, AVCHD MTS is not a compatible format for editing in NLE (non-linear editing system) including iMovie, FCE, FCP on Mac. "I want to copy MTS content to Mac in full no loss 1080p so I can save that and then convert to h264 for editing for iTunes." If you have many AVCHD MTS videos from Panasonic camcorder, maybe some very precious home movies, you must struggle a bit copying the MTS content to FCP for editing. And then you may need transfer the edited MTS content to iTunes where the videos are intended to be stored. Since H.264 is fully supported by FCP, the big problem is how to copy AVCHD content to H.264 in full no loss 1080p? Aunsoft Panasonic AVCHD Converter for Mac is a professional Panasonic AVCHD Conversion tool, can transcode 1080P MTS footage to H.264 for editing in FCP on Mac fast and easily. 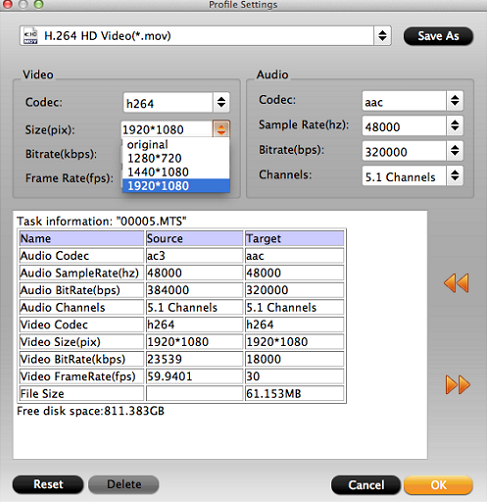 Here is a tutorial to help you copy 1080P AVCHD clips to H.264 step by step. 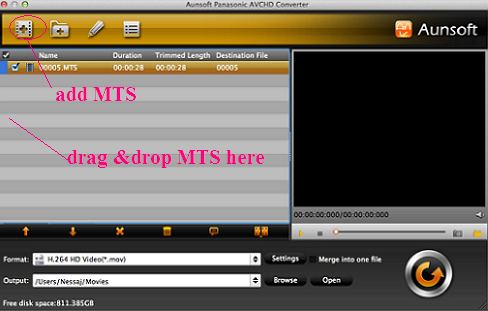 Add MTS file to this AVCHD Video Converter on Mac or drag and drop MTS files into file area directly. Tips: You’d better to copy raw MTS video from camcorder to a file to your Mac, so you can get an uncompressed AVCHD MTS version. Just click "Format" icon, choose the "HD Video-> H.264 HD Videp (*.mov) as the output format. H.264 is fully supported by FCP, you can also choose Apple ProRs 422, the native format for FCP on Mac. Before 1080P AVCHD content to H.264 conversion, you can set video and audio profile via clicking “setting” icon. To keep full no loss 1080P in source MTS content, you need set Video Size as 1920*1080 and Video Bitrate as high quality. Other settings like switching audio channel are available for personal needs. 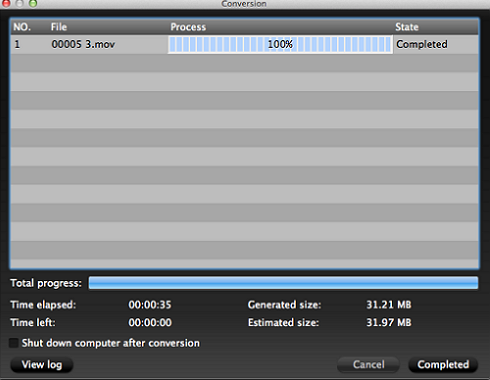 At last, click the "Convert" icon to convert and transcode 1080P MTS content to H.264 for FCP. You can easily learn the conversion progress from the progress bar. 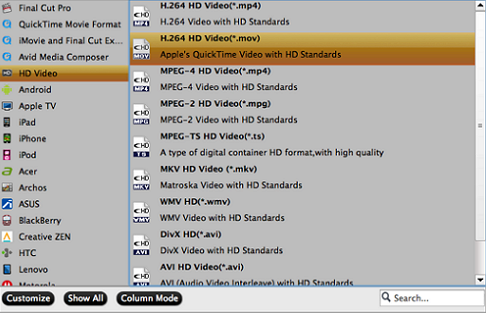 After conversion completed, you can click "Open output folder" icon to locate the output H.264 MOV videos.